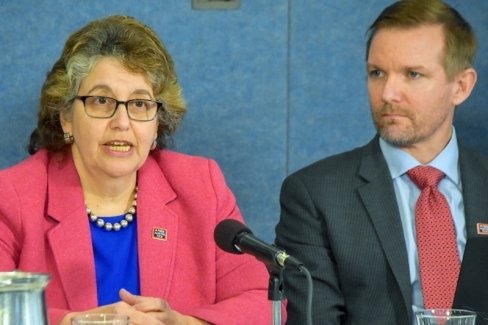 Ellen Weintraub (left), Chairwoman and Commissioner of the Federal Election Commission, describes campaign finance information provided to and offered by her agency. With Paul S. Ryan, Vice President at Common Cause. 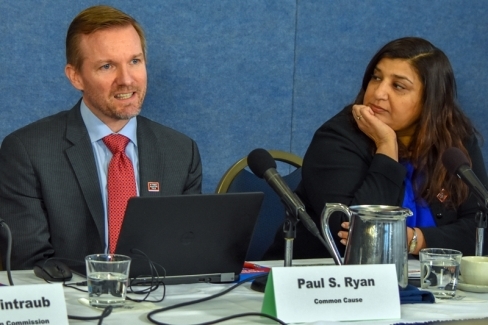 Paul S. Ryan (left), Vice President at Common Cause, tells about fund-raising tactics used by current and recent presidential candidates. With Anita Kumar, White House Correspondent and Associate Editor at Politico. 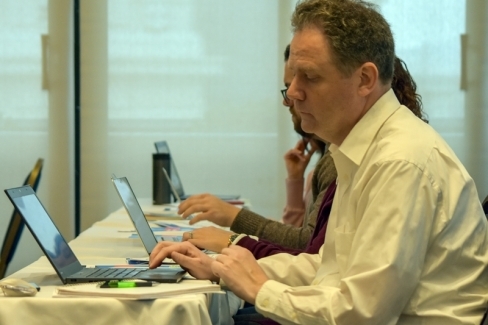 Participants taking notes at the Campaign 2020, How to Follow the Money workshop. 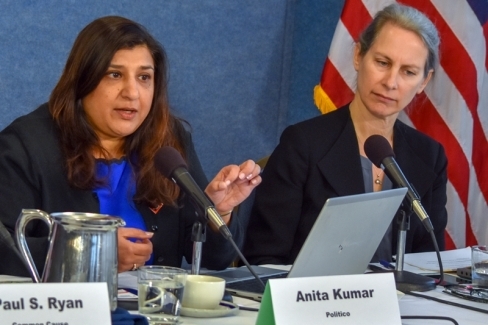 Anita Kumar (left), White House Correspondent and Associate Editor at Politico, recommends story ideas for reporters covering election campaigns and finance. With Sheila Krumholz, Executive Director at Center for Responsive Politics. 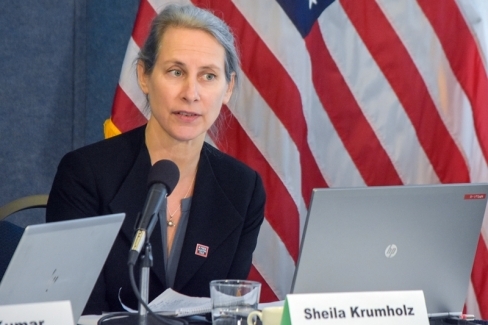 Sheila Krumholz, Executive Director at Center for Responsive Politics, describes data sets and services offered through her organization's Open Secrets database of campaign contributions. Ellen Weintraub, Chairwoman and Commissioner of the Federal Election Commission (second from left), answers a question from the audience. 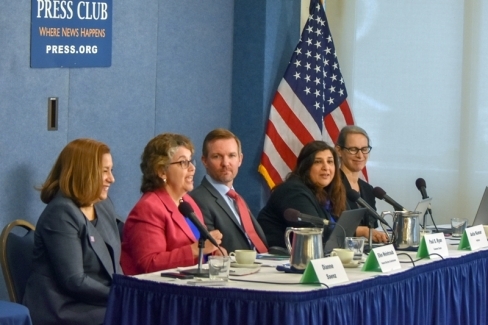 Reacting (from left to right), Moderator Dianne Saenz, communications strategist at Common Cause; Ellen Weintraub; Paul S. Ryan, Vice President, Policy & Litigation, Common Cause; Anita Kumar, White House Correspondent and Associate Editor, Politico; Sheila Krumholz, Executive Director, Center for Responsive Politics.